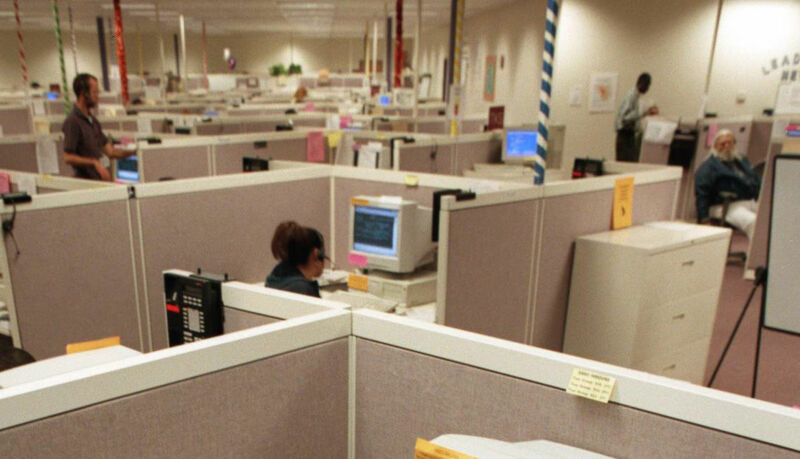 Convergys call center in 1998. A major customer-service call-center operator is laying off nearly 800 workers in Tucson, months after an ownership change. California-based Concentrix Corp. filed a notice with the state recently, saying that 785 workers would be affected by a mass layoff at the company’s call center at 3760 N. Commerce Drive, near Interstate 10 and West Prince Road. The company did not respond to a request for comment on Monday. Convergys came to Tucson in 2001 when it acquired the computer help-desk business of Keane Inc. at the University of Arizona Science and Technology Park. The company closed the Tech Park location in 2003 but became one of Tucson’s biggest employers, with about 1,500 employees at its peak in the early 2000s and about 1,000 workers as recently as 2016. Concentrix notified the state of the layoffs as required by the federal Worker Adjustment and Retraining Notification Act, which requires most employers with 100 or more employees to provide 60-day advance notification of plant closings or mass layoffs. Several other companies have major call-center operations in Tucson, including Afni, Agero, Alorica, C3/CustomerContactChannels, CyraCom, Citi, Geico and OptumRx.